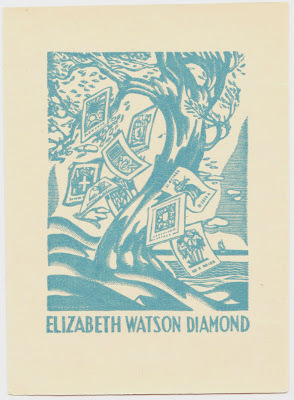 According to this February 2009 Bookplate Junkie post, Elizabeth Watson Diamond "was a remarkable collector. 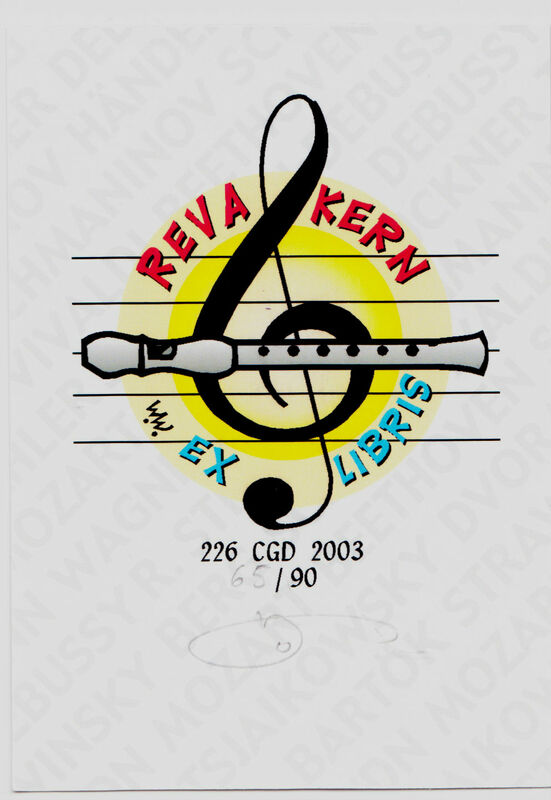 She commissioned many artists to create bookplates for her library." 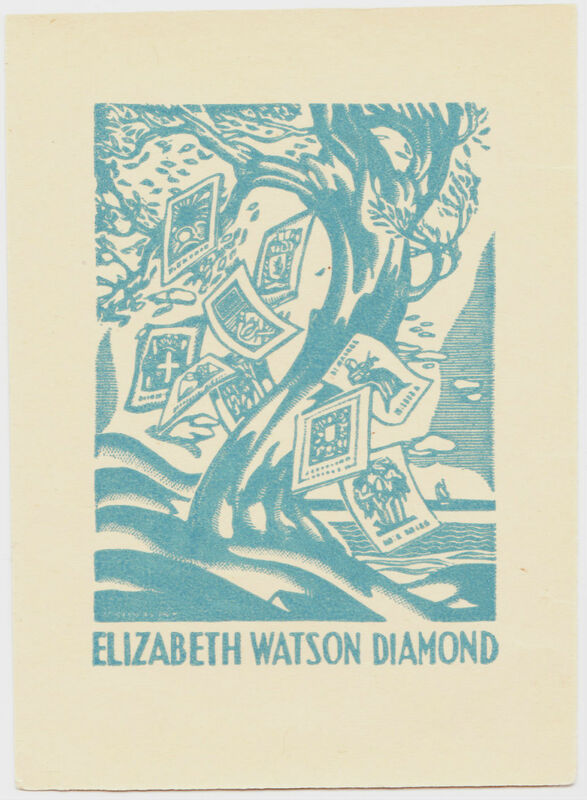 Some more about Diamond can be found on this Art of the Print web page. Reva Kern is a well-known designer of bookplates. 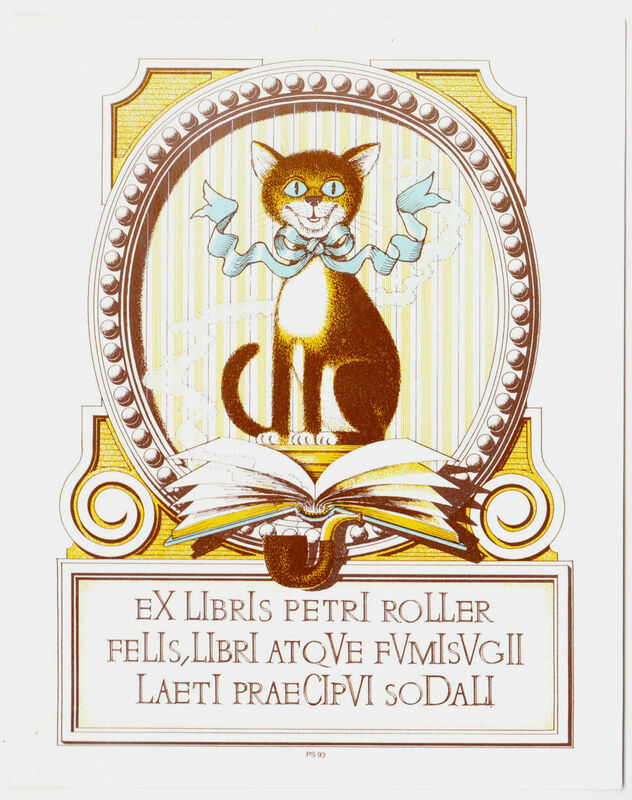 According to the Penn State Special Collections Library, "she utilized a uniquely American method called the 'Provincetown Print' or 'White-Line Woodcut.' 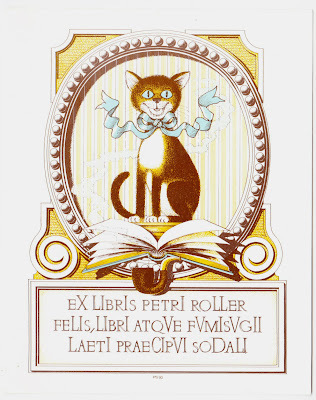 She wrote a history of the Provincetown Print, which can be read here. And here is one of Jaffe's own Ex Libris, with a meerkat theme. 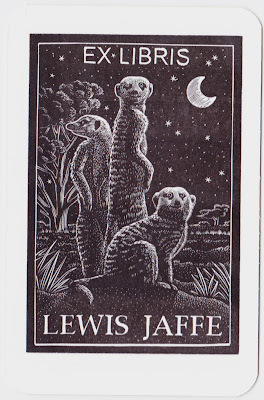 Thanks so much for sharing these terrific bookplates, Lew!